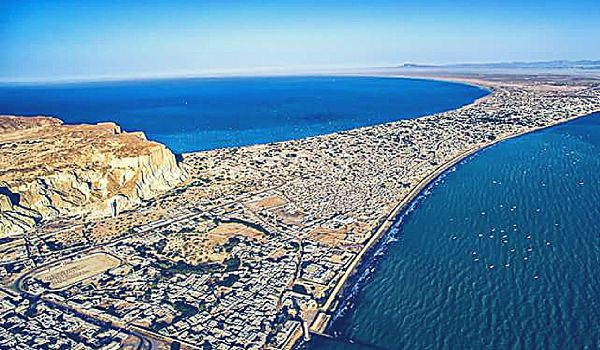 Gwadar: The master plan of Gwadar will be shared in August this year, a news source quoted a member of Planning Commission of Pakistan. Experts from China are being engaged to make the city’s master plan, while the Government of Pakistan (GOP) will approve the master plan before sharing it with the public. Reportedly, the GOP has turned down the request of Government of Balochistan to allow private real estate developers to launch their projects in the city until the city’s master plan is finalised. The decision was taken on the suggestion of Chinese experts who believe that haphazard approval granted to private projects will create problems for the city and cause legal problems for the GDA and the federal government. It should be noted that a ban was placed on approval of new schemes last year soon after an agreement was signed between a Chinese company and the GOP for preparing the city’s master plan. According to GDA officials, a new committee has been formed to share reports on the status of private housing schemes every six months. Based on the findings of these reports, inactive projects will be dissolved.